Assisted hygiene secrets from someone that’s actually living it! It’s been a whirlwind week! Fall is always such a busy time in my business and I am so thankful that this year is no different. Our laser and ultrasonic expert, Allison traveled all the way from California to spend the week with me. We traveled to Connecticut first to spend three days with my marketing and mindset mentor, Fabienne Fredrickson who I’m pictured with here. We spent each day working on new projects and programs for Inspired Hygiene-2011! Yesterday we had a wonderful meeting with the Philips Sonicare corporate team and then we hopped on a train and headed into NYC and today Allison and I are exploring the city. It’s all been so much fun and I have to tell you…I can’t wait to get home to my family tonight and have some down time together. That’s what it’s really all about. 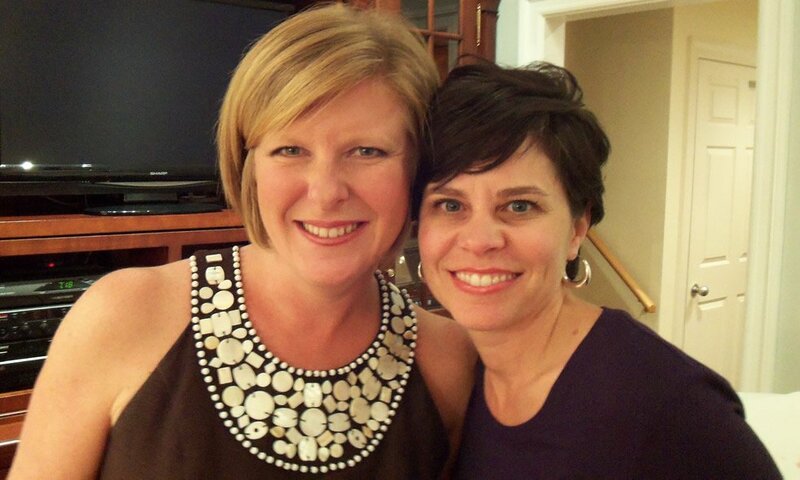 Next week, I’m hosting one of THE most productive, passionate hygienists in the country, Stephanie Lodding. You do not want to miss this call for our High Performance Hygiene Mastermind members. Stephanie will be sharing her secrets for creating a successful, high service assisted hygiene program. And I have a sneaky feeling her assistant Tiffany is going to join us to give her point of view too. You don’t want to miss it. The ADA had an incredibly successful annual session last week. With so many practices feeling the effects of changes in the economy, having almost 30,000 dental professionals in Las Vegas is a sure sign of commitment. So many times, we wonder how we can afford to invest in things such as continuing education courses or expensive equipment for our practice. The perception of how much something costs is easily justified or negated by our perceptions of what we’ll get in return (cost versus benefit). So, if you perceive that spending $20,000 for piece of technology will ultimately improve the aesthetic outcome of your operative cases which will in turn increase patient satisfaction and referrals, you’ll be able see the return on your investment. What about your teammates? How comfortable are they with the cost versus benefit when it comes to a patient’s investment in the dentistry you propose? If they don’t have a strong conviction as to the benefit for the patient, they’ll have a difficult time justifying the investment. Scroll down for some solutions to this common problem. One of the most exciting events at the ADA Annual Session this year was the “How much is it worth?” event starring the famous foursome from the History Channel’s hit show, “Pawn Stars.” ADA attendees lined up to see if their treasures were going to make them instant millionaires. The stars of the show weren’t getting hung up on how much it was going to cost to buy an item because they had a clear vision of what the value of the item was. They saw the benefit rather than just the cost. It’s not only patients that get hung up on fees. Often team members and even doctors themselves struggle with their own perception of the value of the services they provide. Remember, this goes back to the ‘Why’ that Rachel talks about so often. The fee for a crown might seem significant, but what is the overall value/benefit for this client (improved self confidence in a beautifully restored smile, full function during chewing, etc.)? Here’s the bottom line…the value you deliver must be exponentially greater than the fee. She wasn’t trying to undermine the dentist’s recommendations. She was obviously uncomfortable with the fee. You must keep all team members aware of necessary changes to our fee schedule, so they will know why the fees have gone up. Maybe it’s a matter of lab fees changing. Or, maybe the overhead for that procedure has increased and you must raise fees in order to maintain your profitability. If your dental team understands the value of an optimally restored mouth, they’ll be less likely to have an issue with how much a procedure costs. And it may very well be up to YOU to educate them on the benefits. Make sure you (and the entire team) are aware of lab fees, overhead, regional fees for your zip code. Are your fees in the 40th percentile or the 90th percentile? The NDAS fee survey and Dental Economics’ 2011 Financial Black Book are great resources. If you (or a teammate) are uncomfortable with a fee, you’re less likely to make treatment recommendations for that procedure. You must believe that the value of a procedure (decreased risk of heart attack, for example) is exponentially more than the cost. We work on this in detail with our private coaching clients. If your team is involved in any type of profit sharing or bonus program, make sure they understand the need to routinely assess and potentially raise fees in order to cover your costs and maintain these benefits. Have multiple options to help make it easy for patients to pay for their treatment. This too will increase your confidence when presenting treatment. 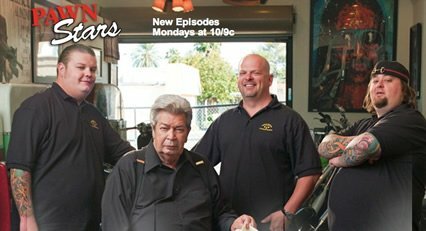 Remember what I said about the guys from “Pawn Stars”? They didn’t have an issue with what they were going to have to pay for an item because they knew the intrinsic value of their purchase. If you keep reinforcing the value of your dentistry, the patient isn’t solely focusing on how much it will cost. FREE Training Videos for you! Last week I talked about identifying Hidden Obstacles in your practice. I just created a training video to give you a sneak peek into the most common obstacles I see in practices and what to look for in yours. I’m going to be doing these videos regularly and I’d love to hear what you think. Click here to go to my Facebook page to view this short video and make sure you “like” my page so you won’t miss out on the next one. Top 5 Most Common Obstacles to Creating a Successful Hygiene Department. Enjoy! You’ve heard me say that before you can effectively recommend and enroll any treatment, product or service to your patients you must, in your heart, believe that it is valuable. You must find out ‘why’ it is a high value product or service and how it’s going to make a difference for your patients. I could TELL you why but it wouldn’t be the same. Every sales rep will tell you the benefits of their product but it isn’t until you find out for yourself that it will really take off in your practice. You must find you own ‘Why’ for recommending. I just did an entire CE webinar on this for Philips Sonicare. If your office manager goes to a CE course and learns how much revenue can be generated from adult fluoride, he or she may come back and try to convince you to sell more fluoride. But if you haven’t discovered for yourself the reason why-beyond the dollars-the service won’t stick. You’ll do great for a while but then when resistance builds; it’s not surprising that it will fizzle out. When I conduct workshops and training, I use exercises that enable the attendees to discover for themselves why they MUST identify early perio and recommend treatment, for example. This way, when they meet resistance, they are armed with a strong conviction that keeps them going. And it comes from within. Whatever it takes, there’s one key thing to remember, if you want your hygiene team to recommend a new service or product, have them do the research, bring back their findings and select the best options. And if you’re working with a consultant or coach, ask them to incorporate teaching and coaching techniques that allow this type of discovery. You’ll see results you won’t believe.